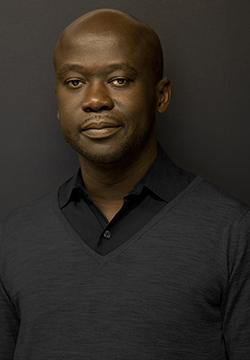 David Adjaye, principal of Adjaye Associates, one of the three firms recently chosen as finalists in the competition to design the future National Veterans Resource Complex at the University, will give a lecture Thursday, April 7, at 6 p.m. in Slocum Hall Auditorium. Adjaye is recognized as a leading architect of his generation. Born in Tanzania to Ghanaian parents, his influences range from contemporary art, music and science to African art forms and the civic life of cities. In 1994, he set up his first office, where he became known as an architect with artistic sensibility and vision. Re-established in 2000 as Adjaye Associates—with offices now in London, New York City and Accra, Ghana—Adjaye has won several prestigious commissions, including the Nobel Peace Centre in Oslo, the Museum of Contemporary Art in Denver, Skolkovo Moscow School of Management and two public libraries in Washington, D.C. In 2009, a team led by Adjaye was selected to design the $360 million Smithsonian National Museum of African American History and Culture on the National Mall. The lectures by Adjaye and the other finalists, Williams Sharples of SHoP and Craig Dykers of Snøhetta, will be videotaped and posted online at the School of Architecture website at http://soa.syr.edu/lectures, the Syracuse Architecture YouTube channel and also on the National Veterans Resource Complex website at http://NVRC.syr.edu.